Missouri Pacific Park was a baseball park in Pine Bluff, AR and was the home field of the Pine Bluff Judges from 1930-1938. The ballpark was bordered by what was then 4th, 2nd and Plum streets. It was built in 1930 to host the Pine Bluff Judges, Pine Bluff's first minor league team since the Pine Bluff Pine Knotts in 1908. On June 20th, 1931, the grandstand and clubhouse burned down (2). Arson was suspected as the cause of the fire. 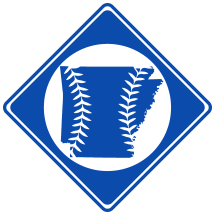 All players' equipment in the clubhouse was lost and new balls, bats, shoes and uniforms were temporarily borrowed from those around the community and the Little Rock Travelers (4). The ballpark was rebuilt shortly afterwards (1). Missouri Pacific Park was replaced by Taylor Memorial Field in 1939.